V8X Supercar Magazine issue #100 is on sale now in print and digital form. Issue #100 is a special 2017 Pirtek Enduro Cup edition with a detailed preview of the long-distance events at Sandown, Bathurst and the Gold Coast, while also celebrating V8X Supercar Magazine’s 100-edition milestone. CLICK HERE to purchase issue #100. 2017 Pirtek Enduro Cup preview: Event and team previews for the long-distance endurance events. The winners and record breakers from previous endurance campaigns. Flashbacks! Endurance anniversaries: Look back at the decade-on anniversaries of the endurance events. Going wild: Profile the wildcard entrants who stepped up into the main game in 2017. Celebrating 100 issues: V8X Supercar Magazine’s 100th-issue celebrations. Our maiden voyage: Revisit the very first issue of V8X Supercar Magazine from 2000. 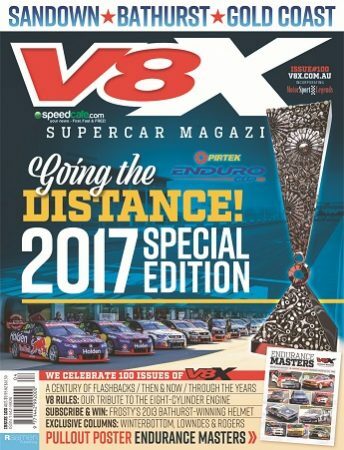 Through the years: Tracking the history of Supercars through V8X Supercar Magazine covers. V8 rulers: Exploring the history of the V8 engine in Australian touring cars. Analysis: The Mustang muddle: Examining the Ford Mustang’s future in Supercars. Analysis: Supercars’ road relevance: Where the manufacturers are positioned heading into Gen2. 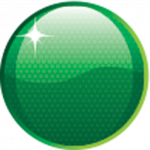 Analysis: Big Bash Supercars: Can Supercars’ push for a ‘Big Bash’-style event work? Analysis: Doubling up at Bathurst. What are the prospects for Supercars at Bathurst’s proposed second circuit? Speedcafe: News round-up: The latest headlines from Speedcafe.com.